Compass has announced that its West Coast expansion includes a new office in Malibu and an upcoming new headquarters, to be located prominently in Beverly Hills. at 9454 Wilshire Blvd. with 25,200 square feet of office space in the Business Triangle. Located at the corner of Beverly Drive and Wilshire Boulevard, the office will be a highly visible addition to service clients in Beverly Hills and throughout the area. The firm also announced the grand opening of its new state-of-the-art office in Malibu at 24903 Pacific Coast Highway, with manager and veteran realtor Jay Rubenstein. 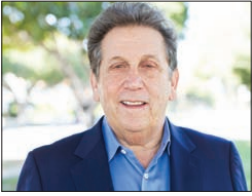 “Malibu continues to be a preeminent luxury market attracting both international and domestic buyers, and I look forward to Compass’ long success here,” said Rubenstein, who has a 38- year record in Malibu real estate. The firm expanded to the West Coast in December 2015, and now operates four offices in key Southern California markets, including Beverly Hills, Malibu, Pasadena and Montecito/Santa Barbara. Filling the high-tech niche, the firm recently launched the first-of-its kind live national market report through a mobile smart phone app. Called “Compass Markets,” the app puts up-tothe-minute market data into the hands of the consumer eliminating the need for stale quarterly market reports, and giving the consumer greater control and transparency over purchases and sales.